This post was written by Jonathon Feinberg, and edited by Rebecca Hornstein. Jonathon grew up Jewish in the south, and now works as a labor and community organizer building working-class power in Massachusetts. Rebecca is an experienced labor, community, and Jewish anti-occupation organizer now training to be a Rabbi. Both are deeply inspired by an ongoing history of Jewish movements against fascism and for socialism and self determination for all people. Antisemitism plays a powerful role in contemporary US politics, in the right wing, in the general public, and in our movement spaces. For the far-right ‘New Confederacy’ and its increasingly public and violent white supremacist/nationalist vanguard, antisemitism is a core ideological foundation. In the general public, antisemitism has been falsely equated with taking stances against the state of Israel, and Jews are being used as political pawns. For social movements and the left, antisemitism is often confusing or difficult to see, or worse, openly unchallenged and propagated. This piece comes out of a process to make sense of the brutal attack on a Pittsburgh synagogue by white nationalist Robert Bowers on October 27, 2018. Bowers attacked a synagogue because he believed that these congregants’ refugee aid work presented a dire threat to white society. 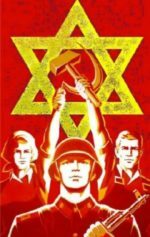 Originally setting out to convey difficult emotions and call for support and unity around the slaughter of 11 praying congregants, research and further conversation with comrades and the NEC pushed us to offer an analysis of contemporary antisemitism in our political context, and why we as FRSO should confront it.